(NaturalNews) Found in everything from cereal grains to dried fruit and nuts to legumes, along with wine, hard cheeses and certain types of coconut oil -- mycotoxins are difficult to dodge. Associated with a variety of diseases, these fungal metabolites can wreak havoc on the health of both body and mind. Just the same, we don't need to be at the mercy of these invisible troublemakers. Instead, we can take active steps through dietary interventions to reduce exposure and decrease damage. Mycotoxins: What are they and why should I care? Causing a vast range of issues in animals and humans, mycotoxins are produced by fungi and can destroy health when even small amounts are consumed over time. Although tricky to diagnose (due to the diversity of symptoms), there is enough evidence that links the toxin with heart and liver disease, neurological malfunction, diabetes, autoimmune disorders, asthma, stunted growth and premature death. Mycotoxins are surprisingly resilient and remain relatively unscathed when frozen or cooked. Crops grown in tropical regions are exceptionally vulnerable to contamination due to high humidity and weather fluctuations. 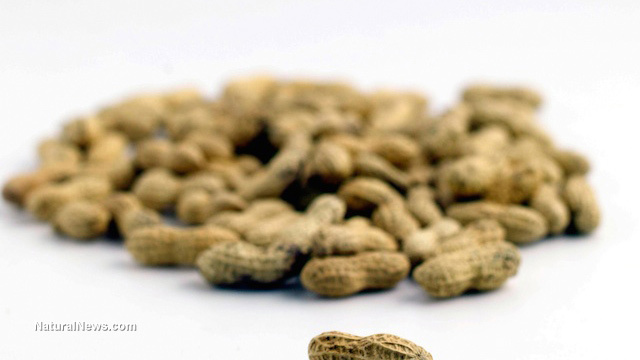 One of the most well-known mycotoxins, and also the most damaging, is aflatoxin -- a carcinogenic mold often found in peanuts, among other foods. Aflatoxin specifically attacks the liver and has been implicated in cancers of both the liver and cervix. Dr. Tafel wrote, "One food that is not mentioned on the list is coconut oil. I want to point out that, while coconut oil is an incredible food in terms of nutrition and taste, many coconut oils contain mycotoxins. This is because they are commonly made with copras, or dried coconuts, which are often contaminated with mycotoxins. So in order to fully enjoy the benefits of this coconut oil, you will want to be sure that you find a company that uses only fresh coconuts to make their oil." Dairy and meat (from animals fed contaminated grains), mesquite, dried fruits, maple syrup and rice can be problematic as well. Unfortunately, it's nearly impossible to escape contact with mycotoxins. Be that as it may, we can take action and protect ourselves. The first step is to avoid, as much as possible, foods that tend to be highly contaminated, as noted above. It's also important to bake at home and mill your own flour for ultimate freshness and quality control. Prepackaged baked goods (including bread) are notorious for harboring mycotoxins. Sadly, it doesn't matter if premade products are organic, sprouted or fermented -- all can contain fungal metabolites. Tree nuts are also troublesome, especially almonds and Brazil nuts. Rinsing nuts will assist in removing surface toxins. Next, soaking nuts in water with 1/4 teaspoon of vitamin C powder (per pint of nuts) for 5 minutes will help destroy mycotoxins within the nut. Drain and gently dry in the oven at 300 degrees Fahrenheit. A small amount of vitamin C can be added to cooking water for grains and pasta too. The same for honey and maple syrup (1/4 tsp. per pint). And a study in the journal Cancer Letters found that extracts of turmeric, garlic and asafetida "inhibited the aflatoxin production considerably (more than 90%) at concentrations of 5-10 mg/ml." Moreover, turmeric and curcumin reversed aflatoxin-induced liver damage in test ducklings.